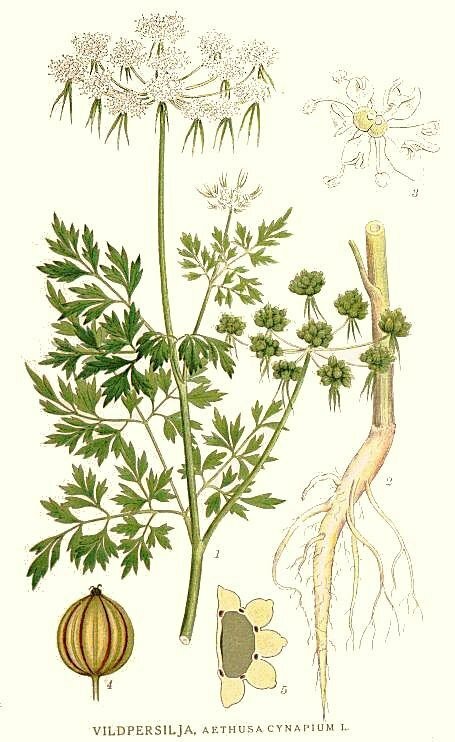 Aethusa cynapium is an annual herb to 70 cm tall; plant poisonous. Leaves alternate, 2-3 times pinnate, broadly deltoid, leaf segments narrow, pointed, shiny. 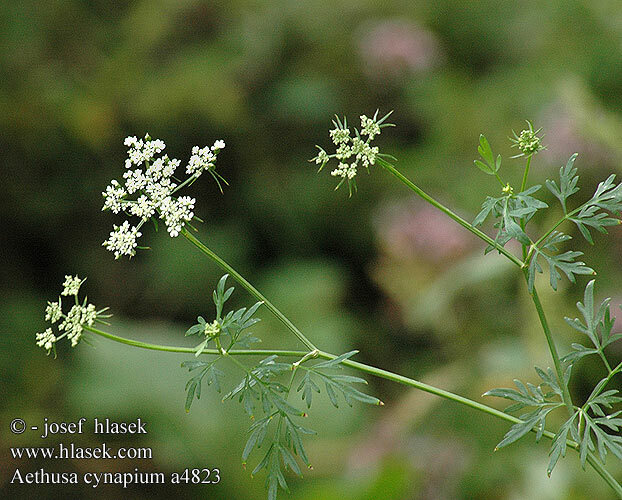 Flowers small, petals white, no sepals; inflorescence of umbrella-shaped clusters to 5 cm wide, “secondary umbels with 3-4 bracts, curved downwards, linear, narrow, sharp-pointed” (NatureGate http://www.luontoportti.com/suomi/ en/kukkakasvit/fools-parsley; 16/12/2013); blooming and fruiting June-Sept.
Aethusa cynapium fruit. © – josef hlasek www.hlasek.com. Aethusa cynapium a4891. naruralmedicinefacts.info (Accessed 7/2017). Fruit dry, broadly egg-shaped, 0.3 x 0.2 cm, prominently ribbed. Habitat: Open disturbed habitats, gardens. 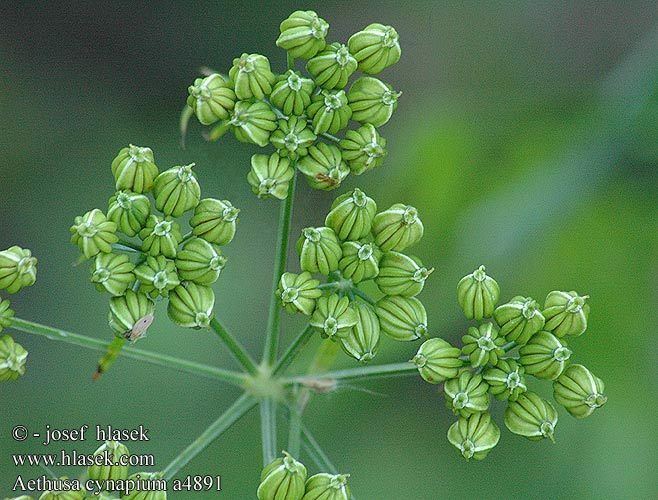 Notes: Apiaceae of open sites are eaten by larvae of the black swallowtail butterfly, Papilio polyxenes (Papilionidae). (Tallamy 2003; Pyle 1981).